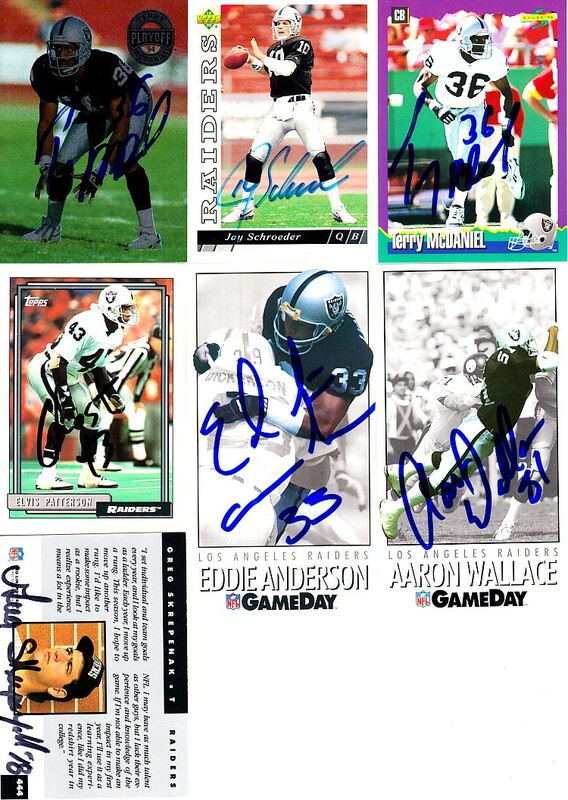 Lot of 7 Oakland Raiders 1990s autographed cards: Eddie Anderson, Pro Bowler Terry McDaniel (2 different cards), Elvis Patterson, Jay Schroeder, Greg Skrepenak and Aaron Wallace. Obtained in person, with certificate of authenticity from AutographsForSale.com. ONLY ONE LOT AVAILABLE FOR SALE.